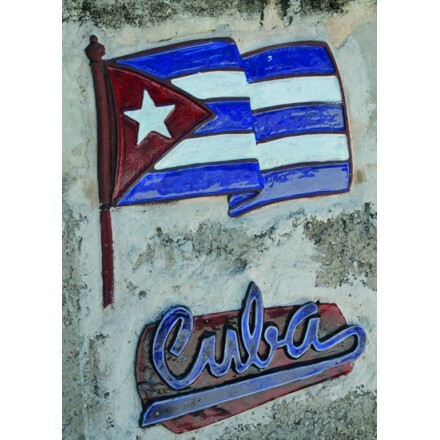 Find a great range of Cuban party supplies. 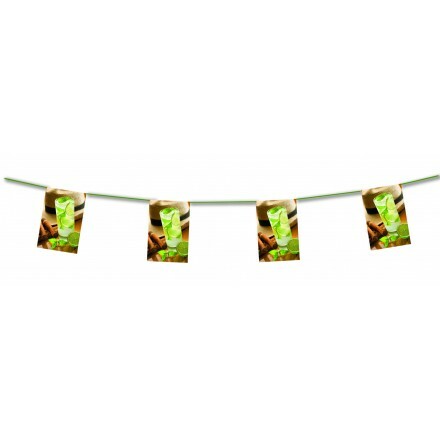 Cuban Party Decoration give you banner, cutout, hanging decoration, flag bunting, Cuba bunting flags to get a beautiful exotic party decoration. 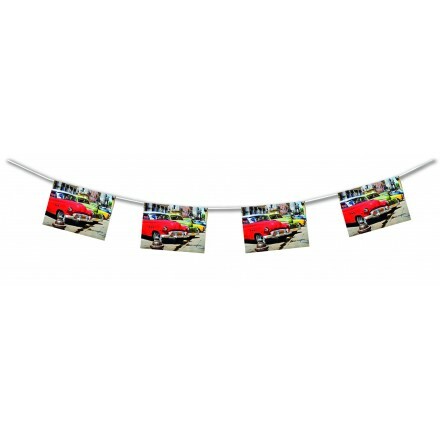 Design with Cuban Cars of 50th, cocktail flags, cigars banner, bright colours to get a wonderful Cuban room decoration. For professionnal party decoration we have supplied Cuban party decoration in flame-resistant quality. Deco Party UK always give you party ideas with its creations. cutout Cuba 12x16inch/30x41,5cm. This Cuban hanging decoration will add fun and colors to your next party. Lots and lots of fun for a low price, ideal for your next salsa party or next occasion. 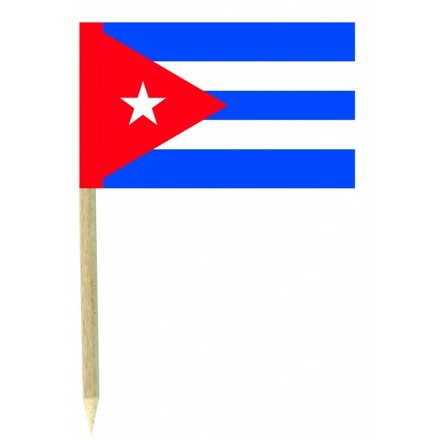 Cuba paper cocktail sticks 1x2inch / 3x5cm food wood pick 3inch / 7.5cm, printed both sides. 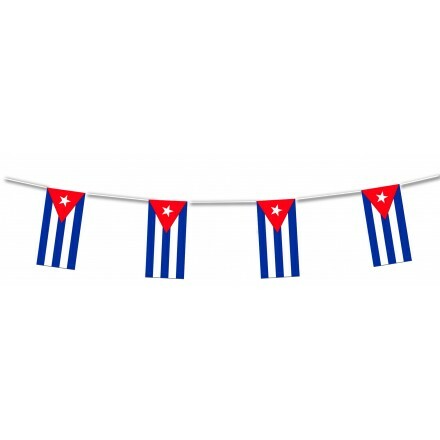 These Cuban cake flags are ideal for Diamond Jubilee parties and every occasion. 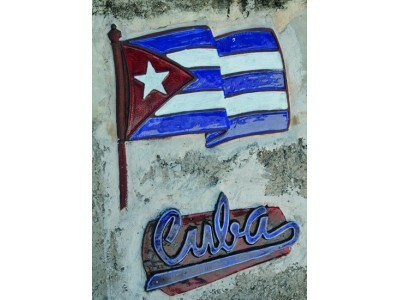 These Cuban food flags are top quality with a very low price. Cuba is an island in Caribbean..